Introducing Burberry Bespoke: a collection of seven exclusive fragrances created by renowned perfumer Francis Kurkdjian under the creative direction of Christopher Bailey. Each scent is available in either one, two or three varying concentrations. Burberry Bespoke is inspired by artistry, the elements and the great British outdoors. Each scent is as individual as the emotions a smell or place can evoke and resurface. A tribute to the unique characteristics of a particular scent on an individual. Garden Roses – A beautiful fragrance inspired by a classic Bloomsbury garden. Fragrant Bulgarian rose layered with memorable Italian lemon oil. Exquisite vetiver adds a delicate finish. High Tide – A unique fragrance inspired by British coastal settings and the sea at high tide. Crisp and green marine notes swim with oak moss absolute. The scent settles with a wash of clean and superbly fresh jasmine. Hawthorn Bloom – A fresh yet comforting floral fragrance inspired by a countryside landscape awash with the early signs of spring. Orris and violet balance musk and patchouli, whilst settling with delicate jasmine. Tudor Rose – Inspired by British history and the symbolic unison of the rose, a shimmering scent of harmonic Bulgarian Damask rose and May rose. Characterful patchouli and ambergris accord. Wild Thistle – Inspired by a vibrant and shimmering Scottish heath. Lush, evergreen leaves and galbanum oil delicately blanket floral notes, with uplifting rosy notes and geranium leaf. Antique Oak – A fragrant masterpiece inspired by the legacy of British boatyards. Captivating oud and sensual leather. Earthy, refined saffron and ever-woody papyrus. Amber Heath – Inspired by a warm dusk light with golden vanilla and patchouli. 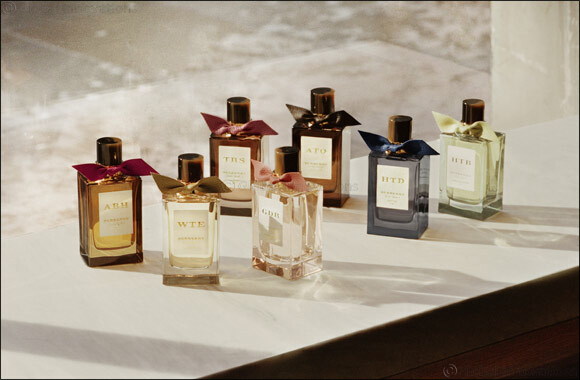 Romantic and atmospheric, a modern amber scent with undertones of ambergris accord.